The possibility of having an accident on the road is real, and it happens every day. People are sent to the hospital or must deal with costs that most people cannot bare, which is why you need to do what you can to prevent this from happening. 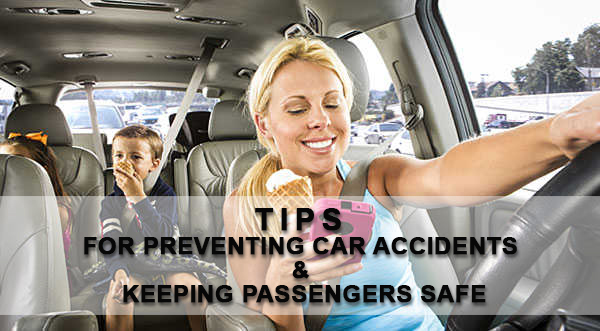 The following are a few simple steps you can take to be a little safer while on the road. You probably remember taking driving lessons to learn how to drive. You might think these classes are the only ones you can take, but that is not the case. It would be an innovative idea to take some defense driving classes that can perfect your skills as a driver and enhance your evasive techniques to keep you safer while driving. It might not seem like a big deal, but making sure your car is in good running condition is very important. For example, ensuring that your car’s power steering is well-maintained helps you stay in control of your vehicle. Driving a car without power steering control is hard and could make you vulnerable when you are on the road, which is dangerous for you or others. You might also want to pay attention to the state of your tires. Balding or worn tires can be dangerous. For one, bald tires have little traction, which makes them prone to sliding. Worn out tires can lead to blow outs, and those can give you a fright. You should also consider investing in collision prevention technology such as automatic brakes or lane detection technology. This technology is still in its initial stages, but it has been able to help people. Lane detection technology uses sensors to warn you that you are slipping into another lane. Automatic brakes detect the area in front of you and brake for you should a car stop suddenly. Sure, installing some of this technology can be costly, but any good Maryland accident lawyer will tell you that it is worth the price. You are going to be making yourself, passengers, and other people on the road safer, which is a good thing. Distractions are still one of the major causes for accidents, and you need to do your best to prevent them. For one, do your best to choose a radio station before you start driving, and leave it alone from then on. You should also turn off your cellphone or put it in your backseat. You do not want to text or look at email when you are driving; your full attention should be on the road. Those who cannot resist looking at their phone when driving should simply place the phone in your trunk just to be safe. These are just some ideas that may help you become a better and safer driver. No one is saying that accidents can be completely prevented, but this should improve your chances of staying safe when you are driving, which is what you really want.